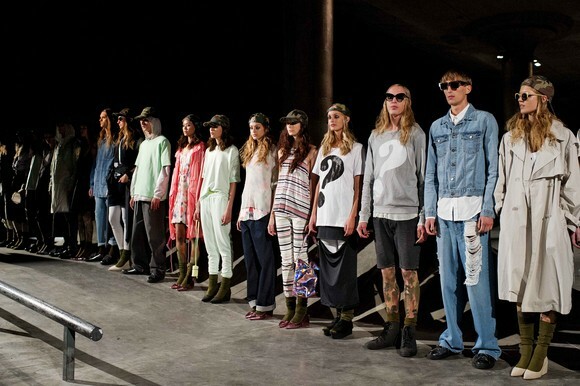 Mercedes-Benz Fashion Week Stockholm is in full swing and Cheap Monday presented their fall 2013 collection today. You can watch a video stream of the show now on their website and facebook page. The theme of the collection is Artificial Grunge, which reflects the collective and commercial memory of grunge, more than the actual grunge lifestyle. Chaotic styling and layering in a seemingly random manner is the core of the collection. Lace, football stripes, military details, second hand-like cardigans and 60’s style tops and dresses are all mixed. The design is however reconstructed and controlled, not haphazard, which makes it artificial.